Last night was my very first book signing/book talk. Other than me speaking far too fast, forgetting to take out my gum, and accidentally wearing my sneakers instead of the pair of strappy sandals I had picked out, it went well. One of the things I had talked about was how I often cut scenes that I love or entire characters because they just don’t fit in the book. I save them off into a separate document and there they sit until I decide they’ll live in another book or I share them as extra content. I haven’t shared any of that in a long time so I thought this was the perfect opportunity to do it. 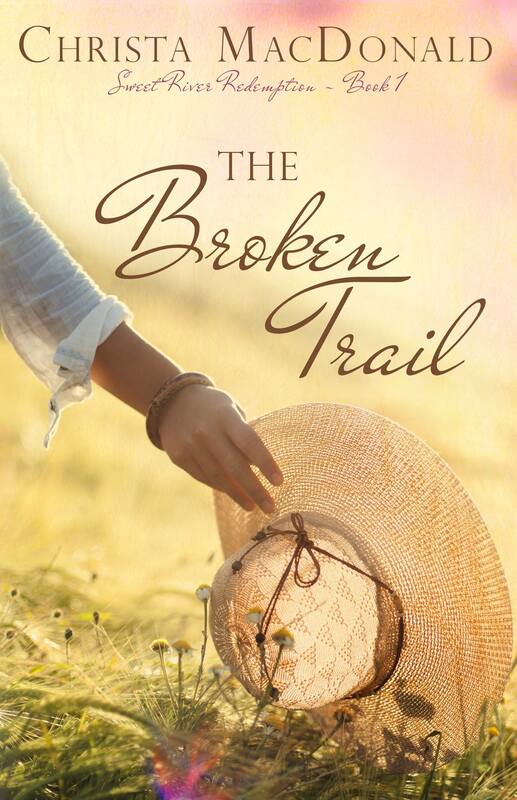 Without further ado, here is the alternate opening scenes of The Broken Trail. At gate ten in the Regan National Airport Katherine Grant waited for her flight in front of a bank of flat screen TVs, one of which was playing the news program she’d just finished taping. She watched as the on-screen Katherine eviscerated the argument Senator Baxter had raised for yet another educational bill that was all show no go. Despite having been in Washington for two decades, the man hadn’t done his homework. He trotted out his talking points with an almost casual sort of disdain practically daring anyone to disagree. By the time Katherine was done with him he was speechless, red-faced, and angry. He should have known that in the talking head game you do your homework or you think on your feet. He hadn’t done either. She was a master of both. Watching the exchange she expected to feel good. The bill he was proposing was so convoluted, so over-reaching it would have paralyzed small school districts and alienated home schoolers while completely failing to aid the urban districts it was targeted at. It had to be stopped and she’d done her job in making sure that happened. Usually these small victories made her feel satisfied, but lately it was taking larger and larger ones for that happy vibe to settle in. Being a hired gun was getting old. Or maybe it was the road that was aging badly. There was no charm left in another day, another airport for sure. She felt the row of chairs she was sitting in rock a little as someone took a seat on the end. “He never had a chance, did he?” She gave a little start and turned to find Helena Murkos, a Washington heavy-hitter, sitting in her row. Katherine had met Helena years ago and although not friends, their interactions had always been friendly. Helena was well into her fifties, sporting the female version of a power suit and blunt-cut gray hair. Katherine liked Helena, but cautiously, like a cat you don’t know; maybe they’ll purr for you, maybe they’ll bite you. “I’m glad you’re amused. Can I assume, then, that the administration is not in favor of this new beast of a bill?” Katherine kept her tone carefully light. “Right, backstabbing, underhanded, soul-crushing,” Katherine replied before adding a wink. She didn’t want to annoy Helena, but she wasn’t about to hide her disdain for the whole business. “Is that why you’ve been avoiding the big chair?” Katherine cocked her head to the side in confusion. Helena was a king maker, the kind of woman who could get you a job with one phone call or end a career with a whisper, but Katherine didn’t think she was on her radar. At least, not enough for Helena to have followed her career that closely. Katherine was stunned. So Helena did have her on radar, but she had no idea why. Over the years there had been a few high-profile jobs, but nothing to garner this much notice. “Those were both great offers, but just at the wrong time. I’m not sure I’m interested in that kind of commitment.” In fact, she’d been thinking about taking a few months off. Home was more a post office box than anything else, but she did have a beach house on the Cape near her mom. She’d been toying with the idea of taking it off the market for rental this summer and actually living there for a while. ”So forty is the magic number for reboots?” Katherine asked. “But, you make it sound so attractive,” Katherine joked. Helena smiled, but only briefly. “So they need a miracle,” Katherine mused, and Helena nodded, a slight smile on her face. Katherine nodded although she hadn’t been to church in about a decade. She tried to object again, but Helena rolled right over her. “They’re only asking for one year. They want someone to come in and be the heavy, make the tough changes, get the ball rolling. They’ve already lined up a Maine native to take over once the hard work is done. He’s a bit green so they’re looking for someone to pave his way, give him a head start and multi-year plan to implement.” While Katherine searched for a polite way to say no thanks, Helena added, “I’d consider it a personal favor if you’d take a look at their offer. A serious look.” Katherine felt a sort of sinking sensation since there was no way she’d say no to doing Helena a favor. Effectively, she’d just been painted into a corner. “Consider it done!” Helena clapped her hands together. On the loudspeakers Katherine heard her flight’s boarding call announced. She stood, gathering her stuff and noticed that Helena had done the same, but she had no luggage with her, just her phone and she wasn’t heading to the gangway either. She spotted Katherine looking puzzled and chuckled. “Turns out I’m not flying today after all.” She left with a jaunty wave over her shoulder. “Sneak attack, that’s what that was.” Katherine muttered under her breath before pulling out her phone and calling her assistant. Heather picked up on the second ring. “Aren’t you supposed to be on a plane?” she asked. Katherine felt a tiny spark of interest. A cute house certainly would be a bonus. It had been a while since she’d lived in anything other than a hotel room or apartment. “Okay, I’m boarding. I’ll text you when we land.” Katherine hung up and made her way on board. Once they were at cruising altitude she pulled out her laptop, logged into the wifi, and brought up the web page of the school. The pictures showed a beautiful campus and the town’s main street with American flags on the telephone poles and quaint shops lining the road with window boxes filled trailing vines and bold petunias. Katherine felt a sort of pang of homesickness. Sweet River reminded her powerfully of her own hometown, the one that she’d left behind when her hopes of having a big family died. She’d dreamed about living there for the rest of her life, raising her kids in a big house complete with a sprawling back yard, tree fort, and tire swing. The sting of that loss had lessened over time, but it had never really gone away. Before her thoughts could get melancholy she remembered the pledge she had made herself the day she left. She was going to play the hand she’d been dealt and try not to mourn all she’d lost. Marriage and family were not in the cards for her. Never really had been. At the Smooth Moose Bar Mac sipped his coffee and waited for the wonders of caffeine to go to work on his sleep-deprived brain. The older he got, the less potent caffeine seemed to be. He needed at least four cups to get him through a nightshift. On the stool beside him, Pete Coleman spun in place and grabbed his arm, causing him to slosh the hot liquid over his hand. “Look there. She’s on.” He pointed up at the TV over the bar. Mac looked up and saw some cable news program. There was a politician he somewhat recognized going head to head with a woman he didn’t. “Who on earth is that?” Mac asked, irked about his burnt hand and his lost coffee. “The trustees think they can get some TV pundit to come up to Sweet River?” He was unable to keep the incredulity out of his tone. It was crazy to think anyone who had the clout to appear on TV was going to give it all up to run a tiny school in rural Maine, no matter how great the school was. Mac looked up at the screen again. Dr. Grant was busy tearing through the politician’s argument and in general, making him look like a fool. She wasn’t being a battle-axe though; she was funny – even folksy. She was attractive too, younger than him with dark blond hair. As she turned to face the reporter he spotted a scar running from the hairline over her right ear, across her cheekbone and down, almost to her lip. It was thin and white, which he knew meant the wound had been deep. Pete squinted up at the screen. The man was sixty-five so he could be forgiven for forgetting that his glasses were in his pocket instead of on his face. “Chest pocket buddy.” Mac offered quietly. Pete spun on his stool to give him a glare and then fished his glasses out of his pocket and took a better look. Mac laughed at the idea of a woman who appeared intelligent and refined getting in a knife fight. Not that he’d put it past her with how passionately she was arguing. Clearly a fighter. “Board meets four times a year. It’s not a hassle. Besides, it was an honor to be asked.” Pete sat up a little straighter, his chest puffed out. “They just picked you because you’re old. All that gray makes you look smarter.” Mac gave him a side-eyed glance and got enough time to dodge the backhand aimed at him. “Yah.” Mac reluctantly slid off his stool and left a ten on the bar. He tipped well at the Moose considering it was the only place open after midnight and the bartenders brewed a fresh pot if they saw a uniform arrive. The night shift was not normally his gig, but he didn’t have family to speak of or anyone to go home to so when someone needed coverage, he’d offer. It was better to feel useful than to feel alone, or at least that’s what he told himself. Tonight the shift should at least be a bit interesting. He was backup for Pete’s hopeful bust of a family of poachers that had been in his sights for half his career as a game warden. Pete suspected there would be both trouble and additional charges so he’d called Mac in on it. Most likely Mac would stand there looking menacing while Pete did his job, but at least it was something to keep him awake. He smiled when he thought of how different the night shift in New York had been. Back then there was never a slow night. Although, back then he had twice the energy and half the brains. Getting into his cruiser he followed Pete out of the parking lot and into the night. That’s good stuff. I like it.